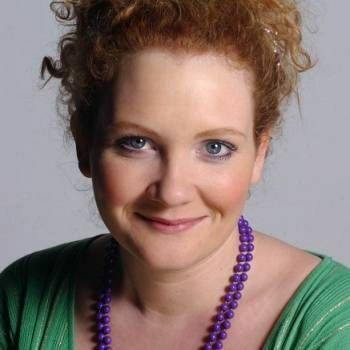 Jennie McAlpine is widely known as the larger than life, bubbly character Fiz in Coronation Street. First appearing on the Street in 2001, Jennie's performance and comic timing as the troubled teenager Fiz made a huge impact and so impressed the show's producers that she was asked back four months later as a regular character, establishing her as one of TV's most well-known soap stars. Jennie has also shown her versatility with a wide range of other TV work, from presenting a holiday programme from Crete for GMTV to introducing and singing on An Audience with Coronation Street. Jennie began her on-screen career playing the part of Michelle Morley in one of the country's other favourite TV soaps, Emmerdale. She won the award for Best Newcomer in the 2002 British Soap Awards and was nominated for Best Soap Actress in the 2008 TV Quick Awards. In addition to her regular role as Fiz, Jennie has made a variety of TV appearances as a guest, on shows such as Big Brother's Big Mouth, 8 out of 10 Cats, The Xtra Factor and The Door. She has also appeared on a variety of game shows, including Who Wants To Be A Millionaire, All Star Family Fortunes, All Star Mr & Mrs, Countdown and You're Back in the Room. She has also been a narrator for the Royal Festival Hall. Since the age of 17 Jennie has devoted her spare time to helping deprived children in Egypt through the Thebes Project in Luxor, as well as working on behalf of the mental health charity Mood Swings Network. Jennie's natural exuberance, charm and lively humour make her the perfect choice for Personal Appearances, Store Openings and Award Ceremonies. To book her, contact a Prime Performers Booking Agent via the online booking enquiry form or alternatively call us on 020 7251 8222 to discuss your requirements. 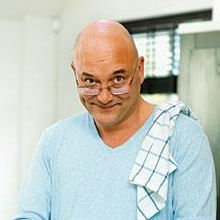 Co-presenter and judge on BBC 2's MasterChef and BBC One's Celebrity MasterChef. Charlie is the darling of Sky Sports and can be seen on 'Ringside', the Goodwood Festival of Speed, Sky Sports' Live Speedway coverage and is also the voice of Channel 4's World Superbikes shows.